Worldwide icon-chevron-right North America icon-chevron-right United States icon-chevron-right California icon-chevron-right Los Angeles icon-chevron-right Mexicali Taco & Co. 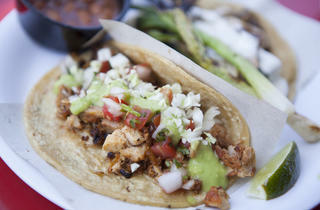 Photograph: Jakob N. LaymanMexiCali Tacos & Co. 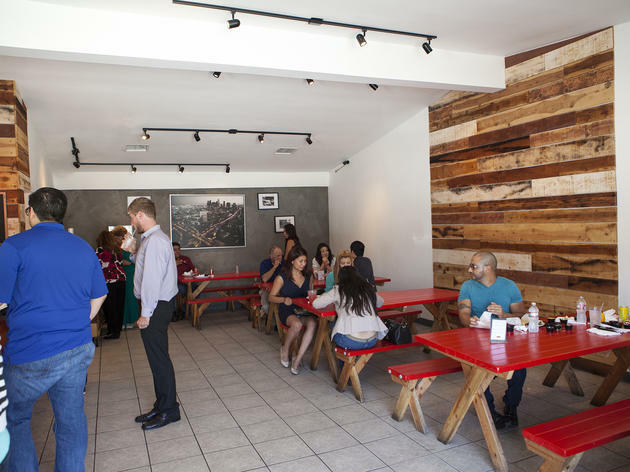 Photograph: Jakob N. LaymanCachetada at MexiCali Tacos & Co. 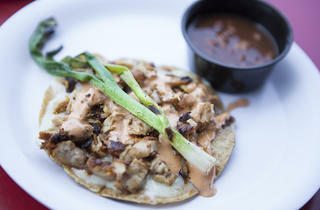 Photograph: Jakob N. LaymanMexiCali taco at MexiCali Tacos & Co. 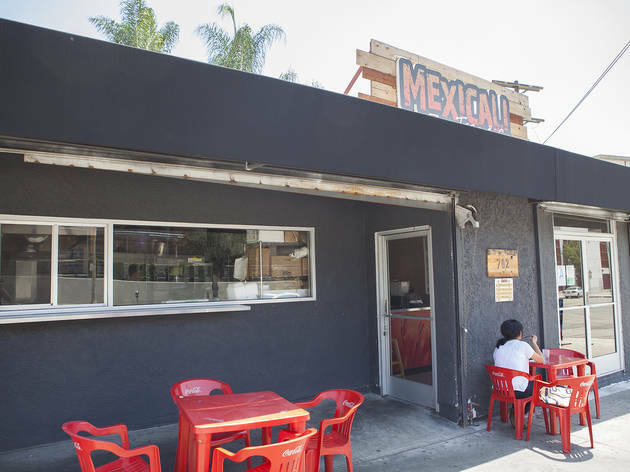 This city-wide favorite is favored for flame-kissed steak and small-batch salsas, along with high-quality ingredients delivered across the border from Baja's capital city. 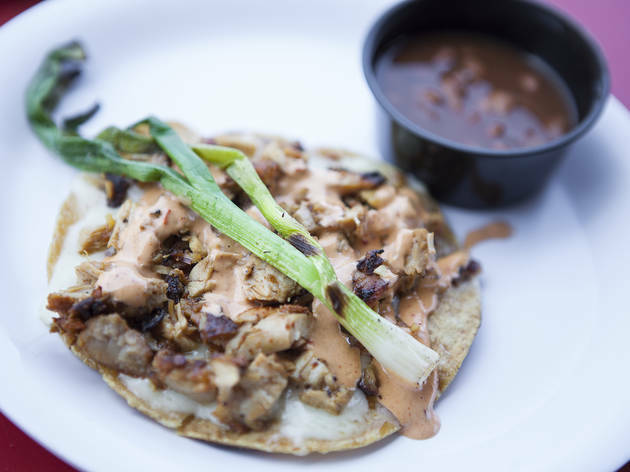 Clever and captivating regional recipes include the gluttonous, triple-meat and cheese Zuperman ($5), crunchy cachetada tostadas drizzled in gooey cheese and creamy, piquant chipotle aioli ($3.25), clay-pot broiled, wine-infused queso fundido ($6) and garlic-lashed Vampiro quesadilla($3.95) stuffed with with hand-chopped carne asada. 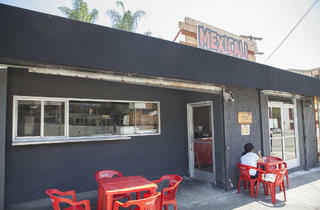 Mexicali Taco & Co has been providing excellent, authentic Mexican food in Downtown L.A. for years. They prepare their meats cooked and seasoned to perfection, then chop them expertly on wooden slabs. The texture is always both crunchy and tender. The frequently stocked salsa bar provides generous choices of fresh salsas along with pickled and fresh vegetables, onions, herbs, limes and more. The prices are extremely affordable, making it one of the best values in town. While one can close their eyes and point to anything on the menu without being disappointed, I gravitate toward their Vampiros. They are quesadillas with a heaping amount of garlic added, thus the name. The tortillas, which they import from Mexico, come perfectly toasted. They get the filling to tortilla ratio perfect. You can choose your protein or mix 2 different ones. 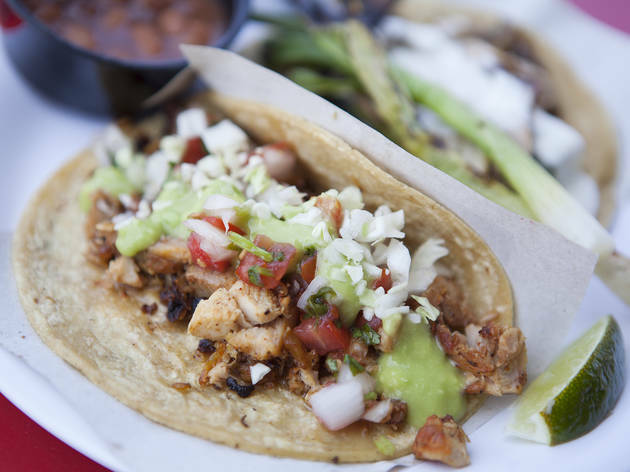 Their al pastor, chorizo, carne asada and chicken are all so good, it's difficult to choose one. I love the grilled scallion they serve on the side. 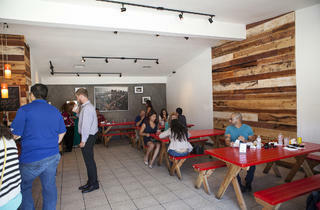 You can wash it down with an aguas frescas, fresh fruit drink. Their friendly service makes everything sweeter. Near Mexicali Taco & Co.